Castell y Bere was a remote outpost on Llywelyn’s southern frontier, but it was vital to his security. It guarded his cattle range, protected the homeland of Gwynedd and dominated the neighbouring lordship of Meirionydd. In medieval Wales cattle were as good as currency. This location was so important that Llywelyn was prepared to take it from his own son Gruffudd in 1221, so that he could begin building a castle. After Llywelyn died his successors continued to use it. 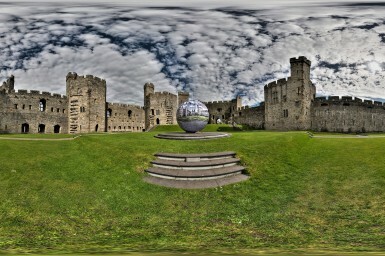 It was taken by English king Edward I, in 1283. He made alterations to the castle and hoped an English frontier town would grow here but the English abandoned the site during an uprising against their rule in 1294. Today Castell y Bere is as wild and remote as it was when Llywelyn first arrived. It stretches along the summit of a rocky outcrop on the eastern side of the Dysynni valley. The picturesque and remote location makes it difficult to appreciate that this sprawling stronghold once controlled an important routeway running up from the coast at Tywyn northwards through the mountains towards Dolgellau and protected the southern border of Gwynedd. 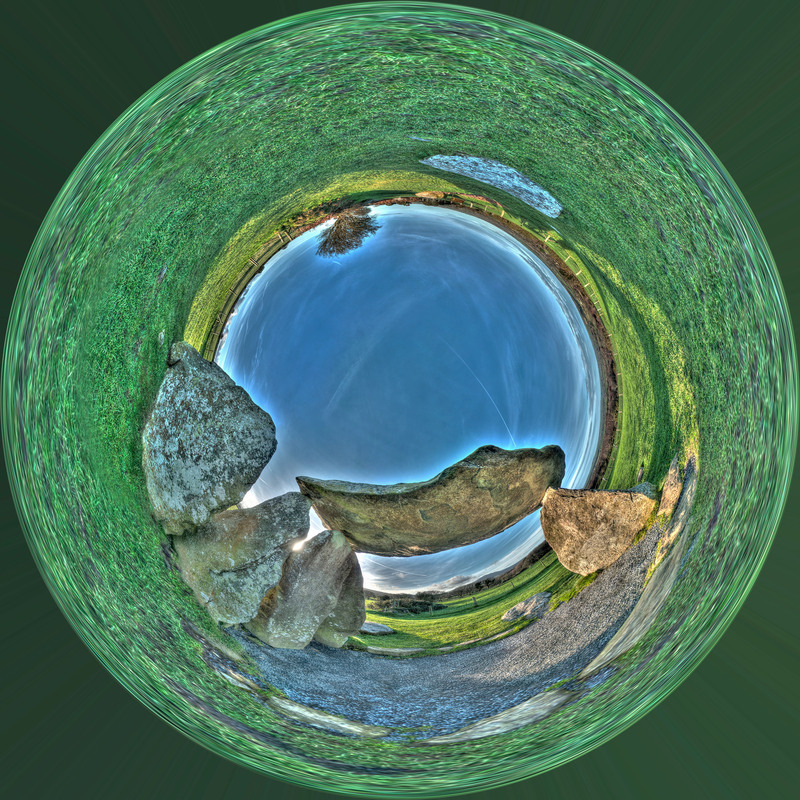 On Sunday 8th & Monday the 9th March I will be installing the 1.3m photosphere at Pentre Ifan Burial Chamber. If you are in Pembrokeshire or fancy a reason to get out this weekend then come on down to this unmanned site and see the artwork in-situ. 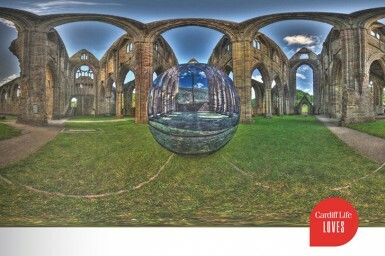 This is a stunning site that requires a short 100m walk to access along level ground. It is quite an exposed site so I may have to cancel if the winds are too high. 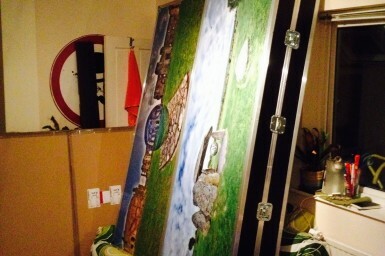 I will be onsite for the entire installation and am happy to talk so I look forward to seeing some of you down there. 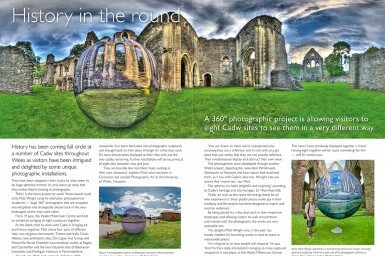 Photospherical Installation at Porthgain 6th & 7th March. For the first of the up and coming site-specific installations I will be heading down to the beautiful coastal village of Porthgain within the Pembrokeshire Coast National Park. The installation is scheduled for Friday the 6th & Saturday the 7th of March and the photosphere is located right on the end of the harbour wall so when the tides is in its surrounded by water from almost all sides. The site is 100% open access and if the weather is nice there is loads to see and do in the vicinity, not least enjoying the coastal walk or the hospitality at the Sloop Inn. 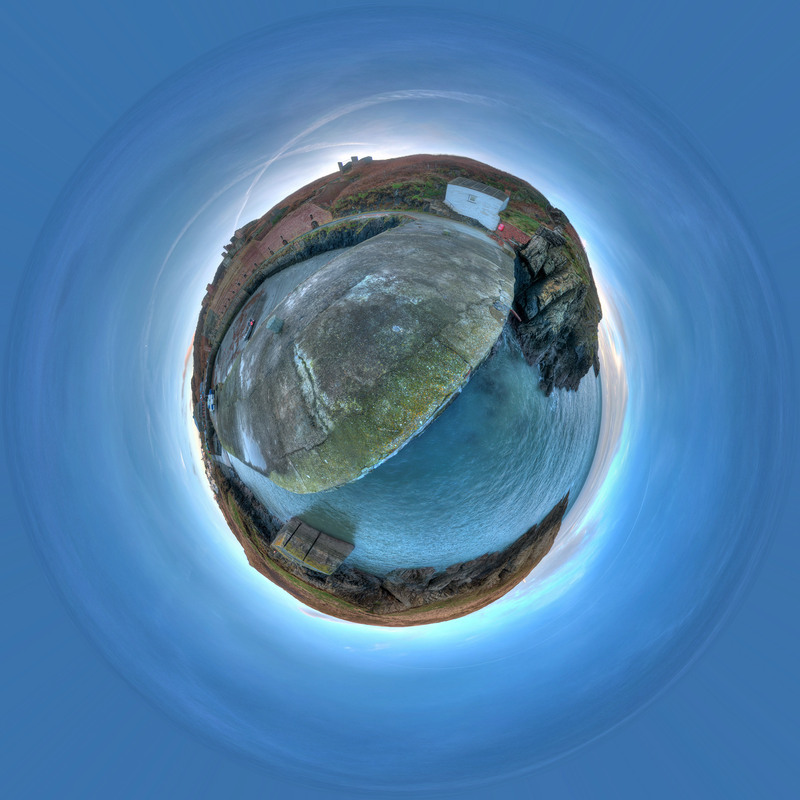 This will be the second installation of the Porthgain Harbour Photosphere sphere at this site and its already one of my favourites, really coming into its own when the sun drops low near the horizon and the small interior light begins to radiate from within the sphere. If you are in the area or looking for an excuse to explore this beautiful location then please head on down. As always the Installations are dependent on weather conditions so stay tuned to me via twitter @relics360 or via this sites news incase conditions dictate a postponement.